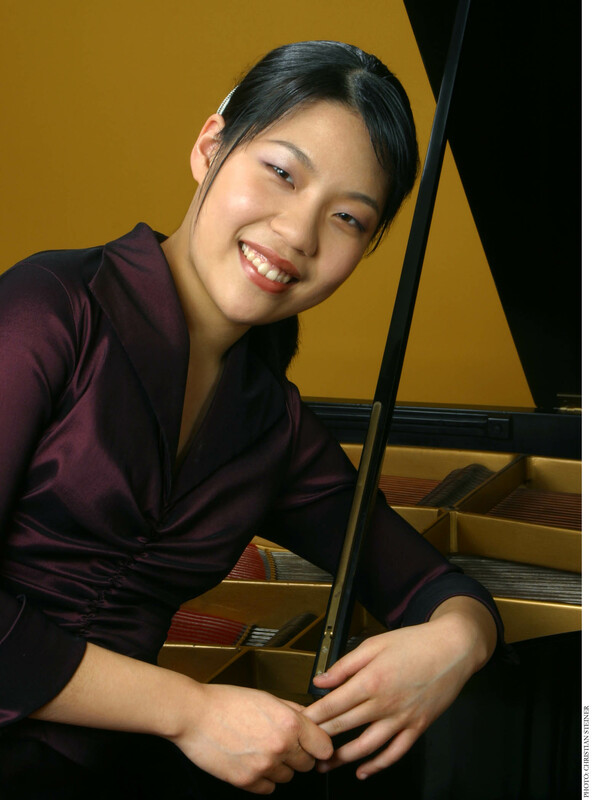 March 16, 2007 -- Arkansas State University’s 2006-2007 Fowler Center Series continues with pianist Joyce Yang, performing Tuesday, March 27, at 7:30 p.m. in Fowler Center, 201 Olympic Dr., Jonesboro. The concert is a Riceland Distinguished Performance presentation. In June 2005 at 19 years of age, Yan was awarded the silver medal at the Twelfth Van Cliburn International Piano Competition, where she also won both the Best Performance of Chamber Music and the Best Performance of a New Work awards. Since the Van Cliburn contest, she has performed with the Philadelphia Orchestra, the Chicago Symphony, and the National Symphony at the Kennedy Center. In this season, Yang debuts with the New York Philharmonic, as well as with the symphonies of Houston, Indianapolis, Fort Worth, Colorado, Kansas City, Colorado Springs and Orlando. She was featured in “The Heart of Music,” a film documentary about the 2005 Van Cliburn International Piano Competition, which was broadcast on PBS. For more information on Yang, visit www.icmartists.com. Individual tickets to the Joyce Yang performance are $30 and $20 for adults; $23 and $15 for students and senior citizens; and $10 and $6 for ASU students. Tickets may be purchased by calling (870) 972-ASU1 (972-2781) or 1-888-278-3267. For online purchases, see http://tickets.astate.edu. For more information, call Fowler Center at (870) 972-3471.